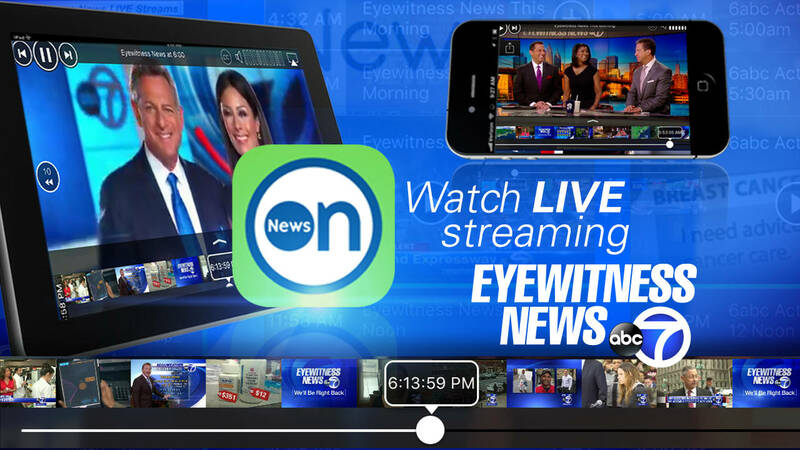 Get live and and on-demand video from Eyewitness News and your favorite news stations from around the country at the touch of a button on your smartphone, tablet or connected TVs with the NewsON app. NewsON, launching today, is a first-of-its-kind service that lets users watch local news instantly whenever you want, wherever you are. "Favorite" the stations that matter most to you -- from where are at the moment to markets where you travel and where your family lives. Then, watch news when it works best for you. The timeline tool allows users to skip to the exact moment you want to watch, from weather and traffic to sports. Additionally, NewsON allows users to view and share real-time tweets about local news, offering their perspective and helping spread local information. NewsON features video content from 118 stations in 90 markets and is available for free for Apple iPhone and iPad, Android phone and tablet, and on the Roku platform across Roku players and Roku TVs. Download NewsON today and experience all of your favorite local news in a whole new way. Click here to download NewsON from the Apple Store. Click here to download NewsON from the Google Play store. Click here to download NewsON for Roku.